Yesterday you turned 5, and just like that, a whole handful of years have gone by. A whole handful of years since your tiny head fit just here in the palm of my hand. A whole handful of years since these hands held you for the first time and knew what it was to hold the whole world. How obvious. And how wise. But that means I can’t go back either. I can’t go back to when your head fit in my palm. I can’t go back to those impossibly tiny feet of yours, a bit wonky from your long stay in the womb, but which I stared at and took pictures of ad nauseam. I can’t go back to the fingers that grasped reflexively, the eyelashes that covered your cheeks as you slept, the tiny body on my chest, so light and yet carrying the weight of absolutely everything at the same time. 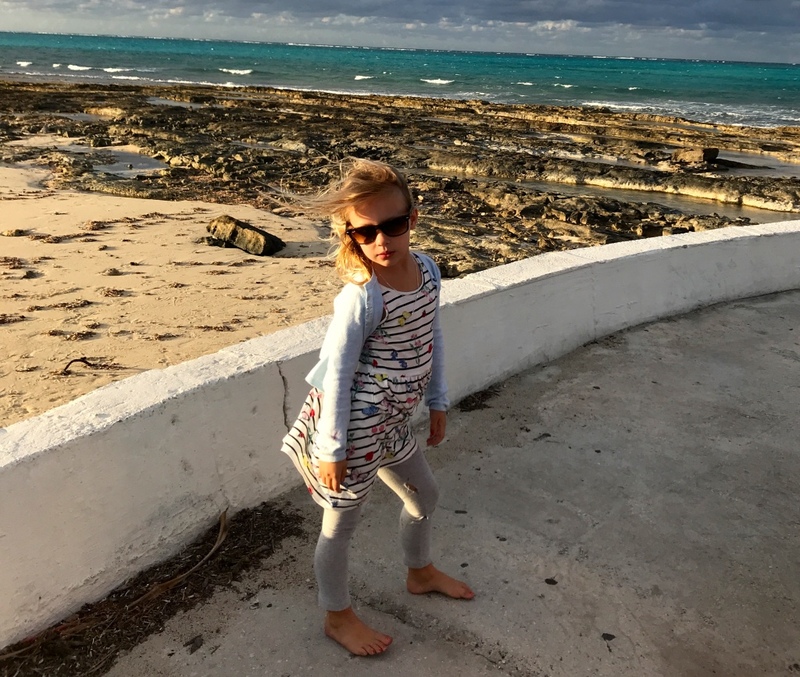 I can’t go back to the toddler who ran before she learned to walk, the fearless one who jumped off walls and diving boards and climbing frames and boat jetties – confident in my ability to catch you. I can’t go back to the days you said, “I huggle you” and mispronounced your name just enough that I’d need to step in when you introduced yourself to strangers. It has been a whole handful of years that these hands have spent protecting you from the evil in the world. As you grow I feel my hands getting smaller, less able to shield you. The impotence of it is almost overwhelming. I know the day is coming when these hands will pick up the pieces of your broken heart for the first time, although not the last, and hold them uselessly, wondering how to put them back together. I know the day is coming when I won’t be able to catch you. The years have rushed by, this whole handful of them, and I can’t go back. Because today a five year old little girl stands in your place. A little girl who is all blonde hair and painted nails and long legs and a wardrobe of dresses that suddenly got too short. A little girl down with all the latest trends – the Hatchimals and the LOL’s and the Shopkins and the emojis, and who asserts, “Mummy, rolling my socks down is cooler than folding them.” A little girl who loves Barbies and her friends and her ballet shoes and braids in her hair. Who loves riding her scooter at alarming speed and shimmying up trees and yelling “cannon ball!” so the whole neighbourhood can hear it as she runs for the water. A little girl in all the delicious senses of girly-ness and fierceness, who makes me proud to be a woman. I can’t go back, but maybe I don’t want to. Maybe I want to be right here, right now, with you. Seeing all the things through your eyes and being 5 all over again but properly appreciating it this time, because of you. I want to laugh at your jokes and brush your hair and help you pick party dresses and take you to ballet. I want you to explain the plot lines of Equestria Girls and the politics of Pre-K. I want you to call me in the night because you sometimes still need to, and I want to tell you that kindness is your superpower when the world is cruel. I want to teach you and learn from you and love you and pick you up while I still can, while you’ll still let me, and kiss away the hurt while my own particular brand of magic still works. As you carelessly turn 5 and the world lies at your feet, I know I can’t go back. But I look at you in all your shiny new five-ness and I think, yes. Here is just exactly where I want to be.